I like to continue to give you as much information as possible about the various types of leads. What we take pride in and what our forte’ happens to be here at SalesLeads.tv is investor lists. What we do is – we have lists of qualified investors. These are people who are looking for anything from stocks to private placement. It could be a financial planner, precious metals or just about anything related to investments. There’s another variation of investor lists and that’s investment leads. What’s an investor? That’s a guy who puts money into something with hopes he will make make a high return with an “investment”. So, if you’re looking for investment leads, you’ve come to the right place. I would say 95 to 99% of our customers ARE doing Private Placements. Whether there the Reg 504, 505 or the 506c and if you’re looking for private placement lists or private placement leads, we have them. That’s what we do! 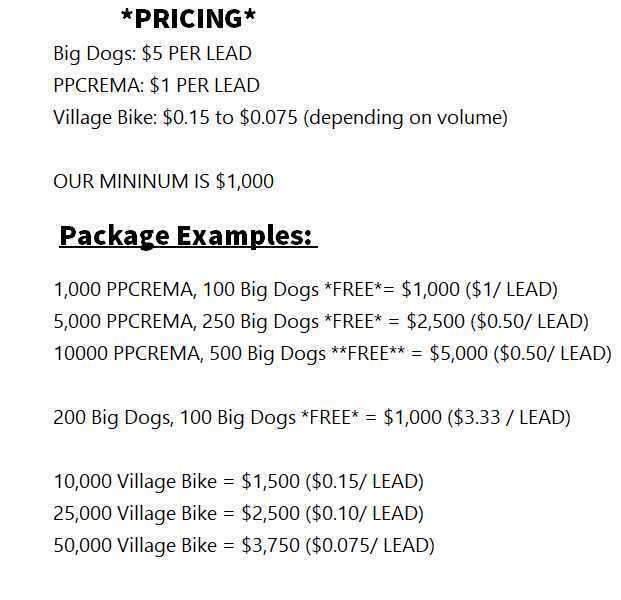 Our leads come from broker dealers. They have been mailed a private placement memorandum. They have been read the survey of an accredited investor and they’ve also been asked, “Is $25,000 to $50,000 a comfortable entry level for a first time investor?” So that’s the perfect investor lead for you. If you’re looking to find accredited investors, that’s what we do. We find these accredited investors by buying or swapping leads who have been surveyed by legitimate U.S. brokerage firms or other reliable companies who have gone out of business. But keep in mind, accredited investor lists or accredited investor leads, it all depends on what you type into Google. It’s all the same exact thing, but be careful! The accredited investor is important for the private placement. A private placement requires the investor to be accredited. Sometimes, typing in “investor” is not enough. You’re going to have to do a search for “accredited investor”. That makes sure the guy has been read the definition of an accredited investor, which (by the way) some of them make $200,000 a year for the last 2 years or $300,000 combined or $1 Million Net Worth (not including his home) and experience in managing his personal financial portfolio.